Habitat - Thickets, fence rows, woodlands, pine forests, roadsides. Other information - This attractive species can be found throughout Alabama. 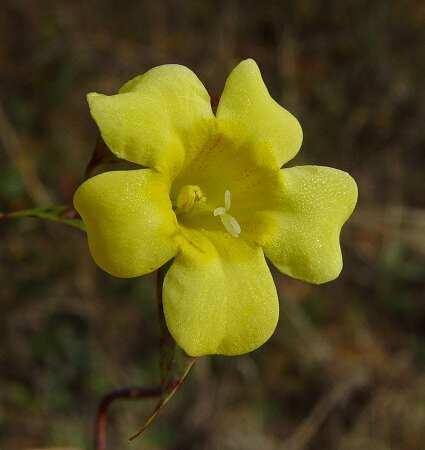 The plant can be identified by its vining habit, opposite, lanceolate leaves, and big yellow flowers. There are few vines in Alabama that have opposite leaves. 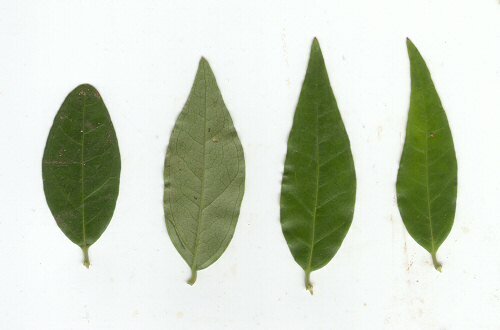 There are fewer still that have simple, opposite leaves (most have compound leaves). 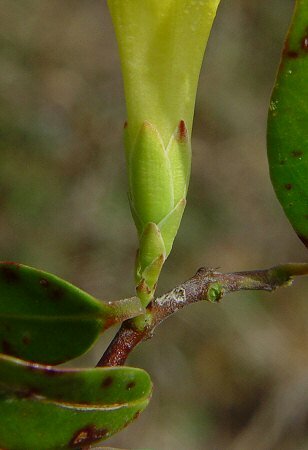 G. sempervirens is a highly toxic species. 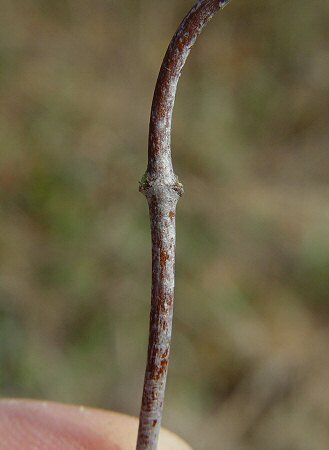 It has been stated that eating as little as one flower can kill an adult human. The plant can also cause contact dermatitis. 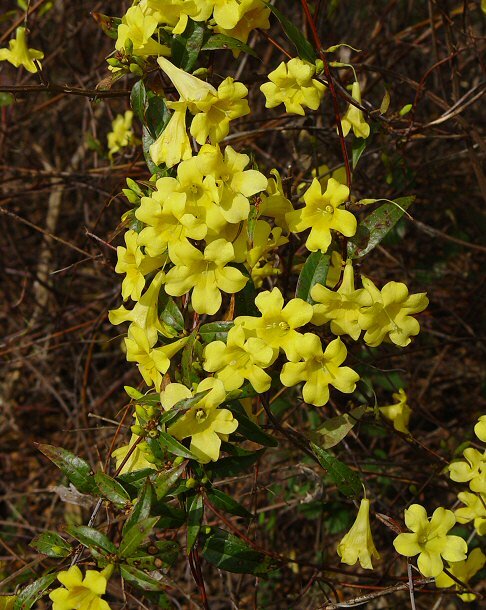 The genus name Gelsemium is from the Italian name for the Jessamines - Gelsemino. The species epithet sempervirens derives from the Latin "semper" meaning "always" and "vire(ns)" meaning "green" as the leaves of this species are mostly evergreen.